leaves of various shapes and sizes. Then before the paint dries press the leaves down on a piece of paper. 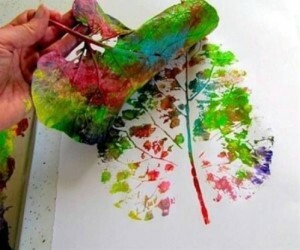 branches and your child can paint a tree trunk afterwards. Super cute and easy craft! Who remembers this one from when they were a kid?! This cheap, DIY activity provides great sensory integration for your little ones. They get to work with different colours and textures and ultimately it ‘s a chance to get their creative juices flowing. 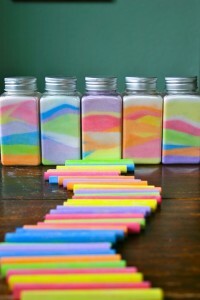 Rub different colours of chalk with the salt to create a variety of different coloured “sands”. Then have the kids pour varying amounts of “sand” into a clear glass or plastic jar or can. Try tilting or shaking the jar at different points to get different effects and swirls throughout the layers. Another variation on this activity is to create some designs with liquid glue on a piece of paper and then sprinkle the “sand” on the picture, and voila, the kiddies have a beautiful piece of art work! Can’t wait to do this one with my kiddos! Fun With DIY Birthday Decor! 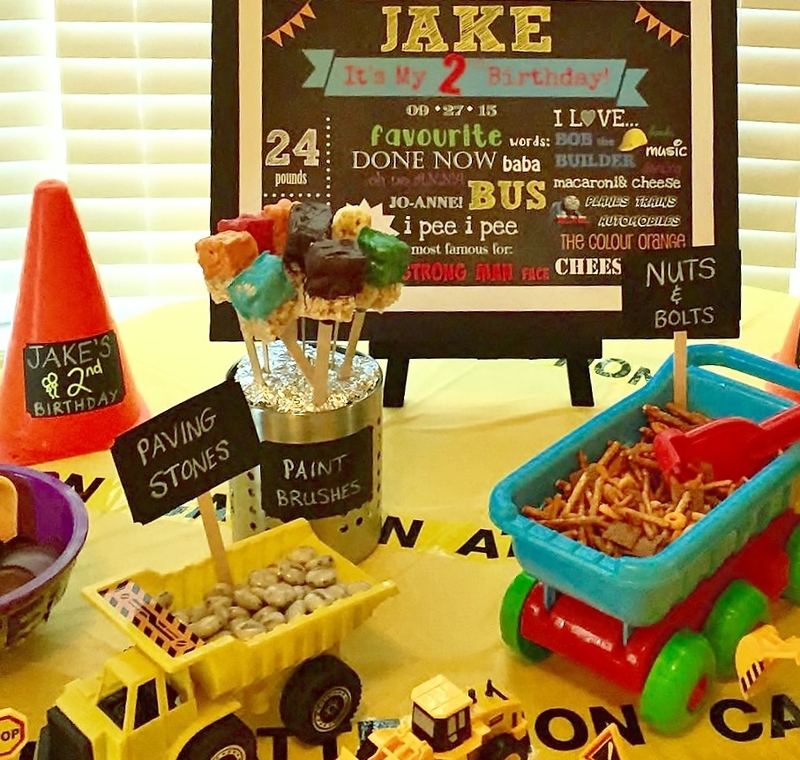 Who would have thought it would be this simple and CHEAP to create this awesome Bob the Builder Construction themed birthday party for my 2yr old son! Most of the items were bought at the local dollar store. I made everything from Paving Stones, Bricks, Logs and Nuts and Bolts using different kinds of chips and candy and placed them all in the backs of various dump trucks. However, my favourite (and I think everyone else’s fav as well) was the totally awesome Rice Krispie Square paint brushes! 7. Voila! Rice Krispie Square paint brushes! 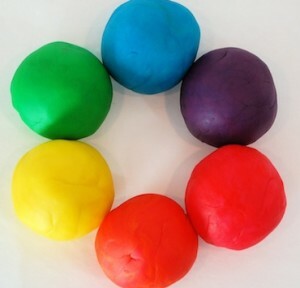 Fun with DIY Homemade Non-toxic Playdough! 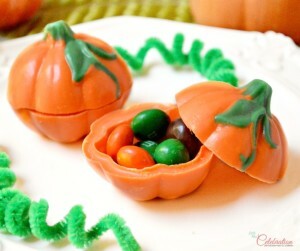 Do you ever find that you are running out of ideas for things to do on those rainy weekends in the fall??? There’s only so many puzzles you can do or legos to build. 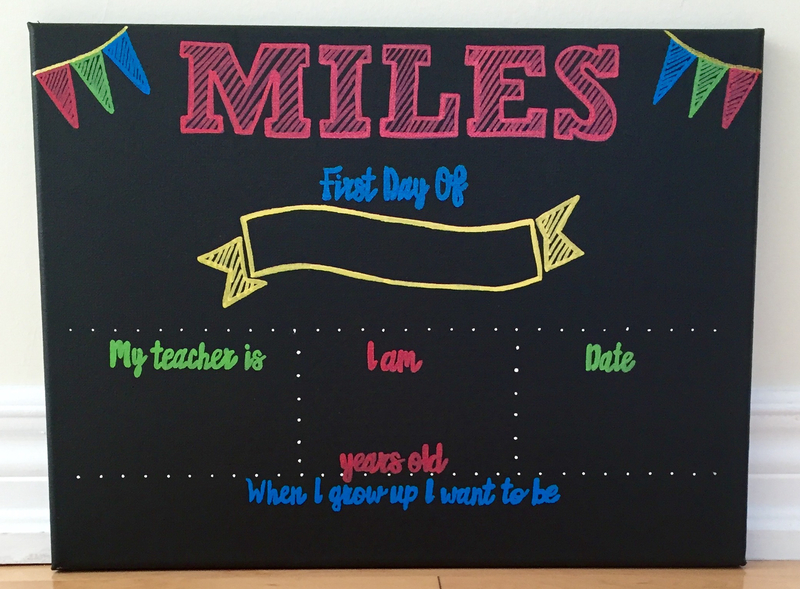 Here’s another AWESOME, super easy and FREE activity you can do with your kiddos. I did this with my little munchkins and they absolutely loved it. 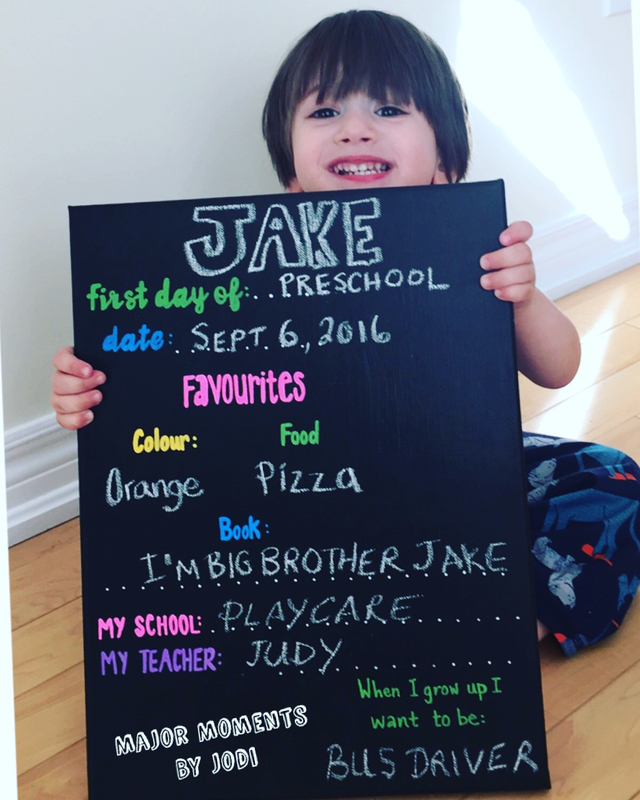 Better yet, it uses all safe, non-toxic ingredients you probably already have in your kitchen cupboard! I think I made my batch more than a month ago and it is still as soft and fresh as the day I made it. Just be sure to store it in a tight sealed ziplock bag or tupperware. Thanks for checking out our MAJOR Moments website! Our goal is to help you capture and preserve your memories from all of your MAJOR Moments. 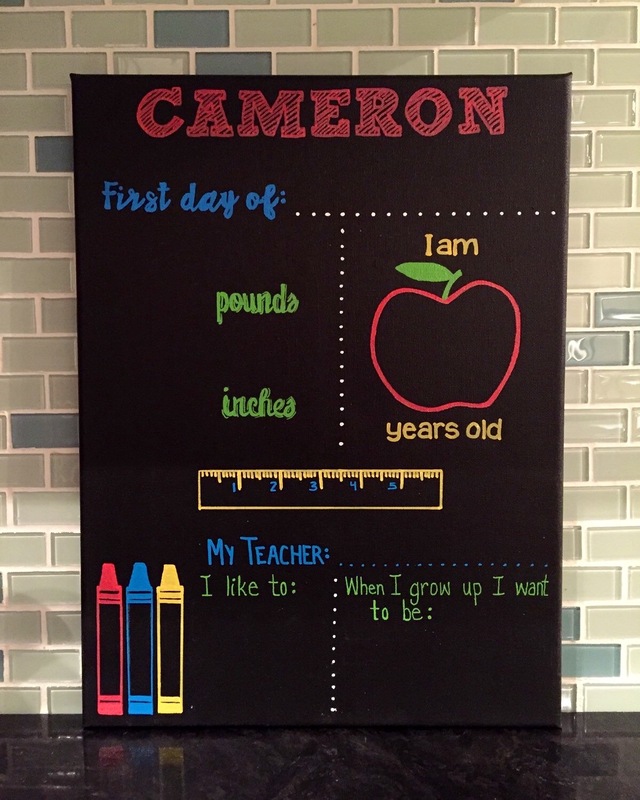 Unique and personalized chalkboard creations can be customized just the way you like! Continue to check out our blog as it becomes a portal for unique craft and design ideas that are easy and fun for the whole family!